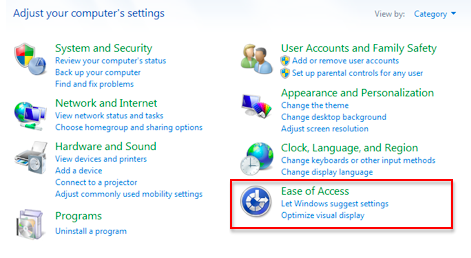 Windows 7 includes several options to make the cursor easier to locate on the screen if you have low vision. In the Control Panel, choose Ease of Access. At the top of the next window, you will find the options for changing both the size and color of your pointer. 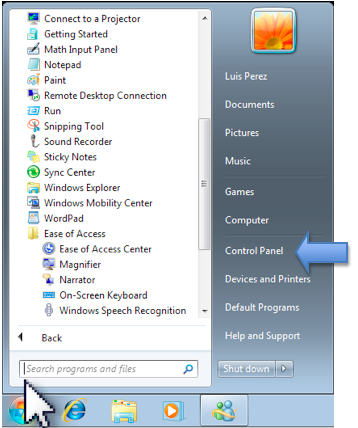 To access more cursor options, select the Mouse settings link at the bottom of the window. 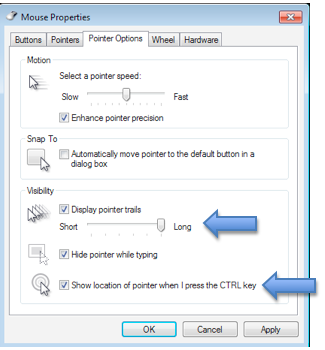 The Pointer Options pane of the Mouse Properties window has options for adding a pointer trail and for playing an animation when you press the Control key on your keyboard. This animation can help you locate the pointer on the screen.